One of the oldest hotels East of the Suez, the Galle Face Hotel was established in 1864. Over the years, the hotel has housed royalty and celebrity. It has survived many trials and stands testimony of the inherent the Sri Lankan warmth. Today it is where old world charm meets modern luxurious hospitality. 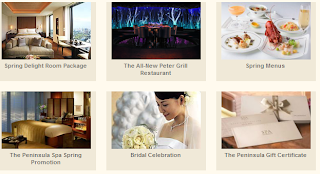 Colombo city features some interesting attractions in Sri Lanka. 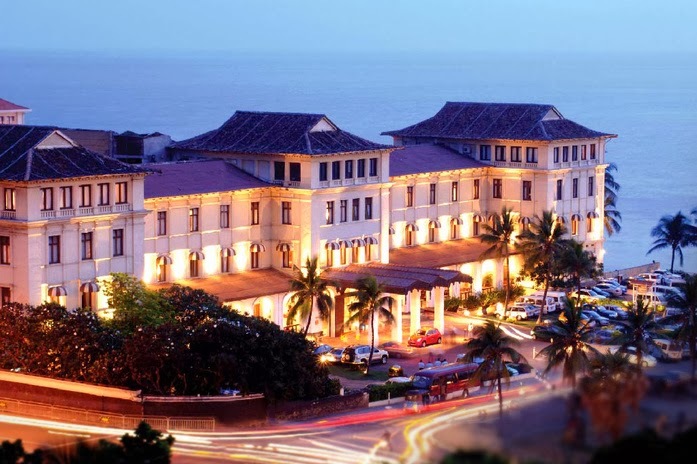 The city of Colombo is a modern metropolis with a wealth of history all within a few minutes drive. Galle Face Hotel is centrally located and is in close proximity of shopping malls and movie theatres for those who wish to take a dose of the city's entertainment offering. 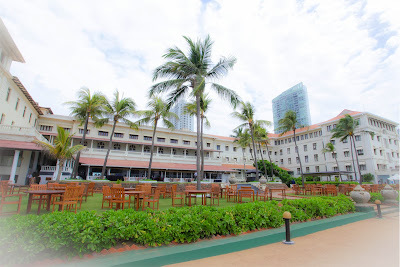 Contact Galle Face Hotel. For general information please email us at information@gallefacehotel.net, or for a reservation to stay at our Hotel, reservations@gallefacehotel.net . Alternatively please call us or send a fax. TThe East Coast of the Island which is home to the Nilaveli Beach Hotel is indeed a breath taking location to spend a holiday away from your daily routine. 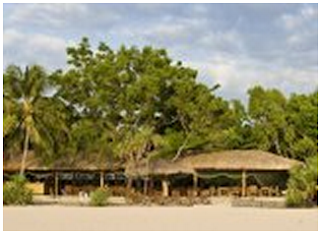 Trincomalee beckons you with its pristine beaches and scrumptious sea food dishes. 45 modern and cozy rooms with beautiful views of the ocean and its surroundings offers you comfort while you can enjoy delicious cuisines at a variety of places according to your liking. 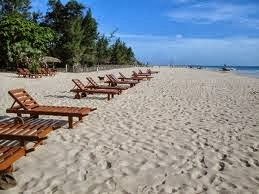 You can enjoy the sun and sand while at Nilaveli Beach Hotel and always come back for more. Trincomalee is located 257km away from Colombo, in the Trincomalee district of the North-eastern coast. Trincomalee can be reached by main motor roads from Colombo as well as by railway line. The Trincomalee Bay well protected by two headlands forms an inner harbor to the north of the bay, making Trincomaleesecure harbor accessible to all types of craft in all weathers. Nilaweli and Uppuveli 16km and 6km north of the city are among the best beaches of the Eastern Coast of in Sri Lanka. With shallow seas spreading out hundreds of meters into the sea, these beaches afford safe opportunities for water sports. The hotels in and around Trincomalee are geared to extend facilities for snorkeling, scuba diving, fishing and whale watching. On a shear rocky outcrop named "Swami Rock", several meters high above the sea is the Fort Frederick occupied by the Portuguese, the Dutch and the British in succession. A Hindu temple dedicated to the deity Koneswara was destroyed by the Portuguese during the period in which they held sway in the coastal areas of Sri Lanka. The modern temple therein today is built on the ruins of the old temple. Given the strategic location of Trincomalee, Sri Lanka Air Force, Sri Lanka Navy and Sri Lanka Army have set up military bases therein in defence of motherland. Pigeon Island set in about 1 kilometer offshore set in a coral reef affords opportunity to enjoy with snorkeling. Boat runs to Pigeon Island are run by Sri Lanka Navy. Trincomalee War Cemetery, one of the six commonwealth war cemeteries in Sri Lanka, is maintained by Sri Lankan Ministry of Defence on behalf of the Commonwealth War Graves Commission. The Nilaveli Beach Hotel offers you 23 Standard Rooms with modern facilities including hot water, mini fridge, air conditioning and also a fan. There are a total number of 22 Studio Deluxe and Deluxe Rooms for guests to choose from as well and facilities include an addition of a cable television, DVD player and a safety locker. All rooms offer you fine views of the surroundings as well as a cozy atmosphere. Guests can enjoy a 24 hour room service facility which basically allows you to enjoy breakfast in bed. The Nilaveli Beach Hotel is a haven for food lovers especially sea food. You can enjoy varieties of sea food specialties ranging from lobster, crabs, cuttlefish and prawns. 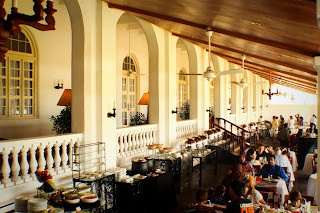 The main restaurant also offers you the delight of enjoying a blend of delicious Eastern and Western cuisine. For fine dining purposes the hotel houses an air-conditioned indoor restaurant where you can enjoy Sri Lankan and Western dishes. Opening out to the sea, the poolside garden restaurant offers you the choice of an a la carte menu, snacks, sea food specialties and alcoholic beverages. There is also an indoor air-conditioned bar with a spacious lounge area. 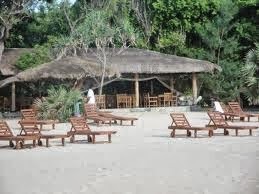 Guests can enjoy beach BBQâ€™s that are mainly held on Saturday nights. For the business minded who wish to keep intact with their work, there are business facilities as well as a conference hall. Recreational facilities include a beautiful outdoor swimming pool, boat rides, diving and snorkelling, a gift boutique, fishing trips and garden hammocks to laze around. 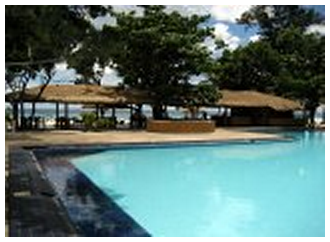 Other hotel services include currency exchange, 24 hour reception, laundry services and parking facilities. Niroga Ayurveda resort, an Ayurveda & Holistic Healing Resort in the Southwest of Sri Lanka, set along the shores of the famous “Maduganga”, though referred to as a river it is in essence a large lake fed through five streams, forming an estuary which falls to sea from the resort town of Balapitiya. Whether you are traveling on vacation or seeking Ayurveda treatment, it’s always the little things that count and make a lasting impression in your mind, we at Niroga Ayurveda Resort in Maduganga will gladly cater to your every whim. The extensive herb garden and stunning view across the Maduganga Lake at dusk with the delightful aroma of traditional Sri Lankan spicy dishes being cooked & served at the floating restaurant on Maduganga will beacon families, romantic couples, honeymooners, authentic Ayurvedha treatment seekers and solo travelers alike to this romantic spot. Marrying modern luxuries with a breathtaking view of the lake, whether you lodge into lake view, jungle or floating villas, a Niroga Ayurvedha resort vacation will be one to be treasured long after you have returned home. Since opening our doors in 1998, Niroga Ayurveda hotel has treated well over one thousand guests seeking various treatments to ailments of the body, mind and soul. At Niroga we specialize in techniques which do not require surgery, whether it’s a slimming our clients require or various rheumatic joint diseases, gastric ulcers, paralysis or ENT complications. The prevalent environment at Niroga Ayurvedhic Resort is perfect for our range of therapies and treatments, with the resort tucked away in one of the islet shore facing west, and the sunlight filtering through trees of the herb garden to create a feeling of well being, the sounds of waves lapping the shore covered in mangrove roots, the sound of a water fowls or the eagles crying, the shimmering sheet of water creating a kaleidoscope of lights & shadows with the rays of the sun. Our ayurveda treatment focuses on balancing mind, body and soul via physical ayurveda treatments, food, meditation, yoga and medicine made from natural herbs native to Sri Lanka. A customs-built yoga pavilion on a pier makes a great place to practice yoga with an instructor, surrounded by water and the gently flowing breeze across the lake at dawn and dusk, two of the greatest relaxants of nature along with a good dose of tranquility to put you completely at ease. We recently launched a natural beauty care and herbal treatment product range to be used exclusively for our Ayurveda Spa at Niroga due to demand. Personal attention in diagnosing & providing medication. Preparation of Personalized food to suite your medical requirement. Panchakarma Detox and body treatments. Yoga & meditation sessions on the pier. From this category 2 mansions faced to the Madu river with views on to the magnificent scenery of river & two mansions are at the highest points of this hotel featured with full of fresh air. We have 2 floating mansions are situated on the Madu river. 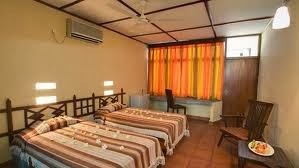 The rooms have totally different sensation endemic to this hotel. Green mansions are sheltered by the natural green cover ideal for green living. These mansions are enriched with delightful calmness environment. 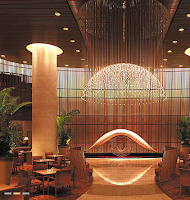 The Peninsula Tokyo is superbly located opposite the Imperial Palace and a three-minute walk from the shopping capital of Ginza, making it the ideal address for sightseeing and more. Inspired by Japanese heritage and contemporary elements,guestrooms and suites offer all the comforts and conveniences of home. A gourmet odyssey through the hotel's five unique restaurants and bar will surely be memorable, while a city retreat permeated by indulgence and deep relaxation awaits you at The Peninsula Spa. 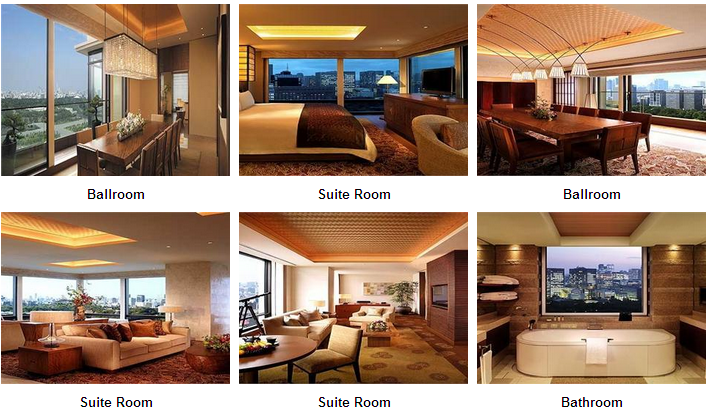 We believe our 267 rooms and 47 suites are the most spacious, visually stylish and comfortable in Tokyo. Every possible guest convenience, from bedside curtain controls to nail polish dryers is included to make this our most user-friendly accommodation yet for state-of-the-art in-room technology. 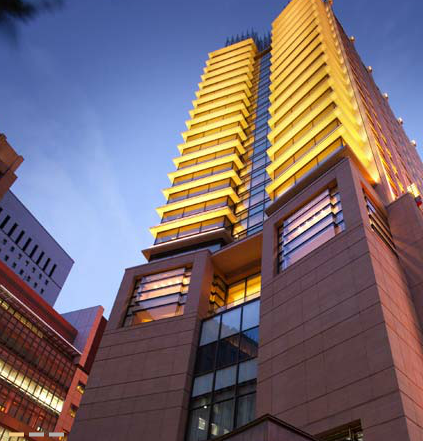 We've got the city’s top Marunouchi location for business and leisure, together with spectacular views of the Imperial Palace Gardens. 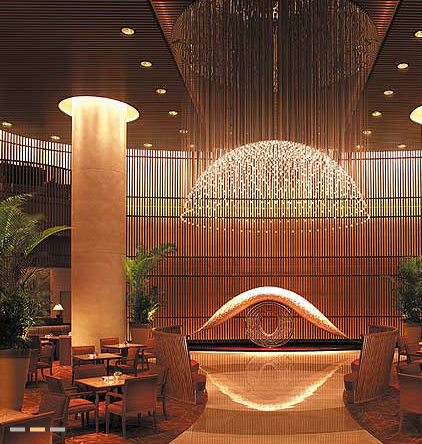 The Peninsula Tokyo sets new standards in comfort, design and sheer five-star Opulence. Tokyo’s exciting new purpose-built hotel, Peninsula Tokyo, with breathtaking views towards the Imperial Palace Gardens caused a buzz from its inception. 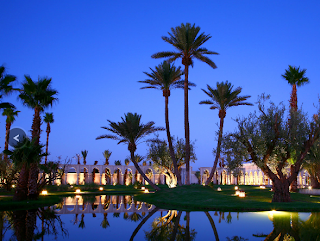 Stylish and supremely opulent, it’s a destination in its own right. Visitors come to enjoy the view from Peter, the hip rooftop restaurant, or to have Traditional Afternoon Tea in the lobby. We’ve brought a new dimension to hospitality in the Marunouchi district. 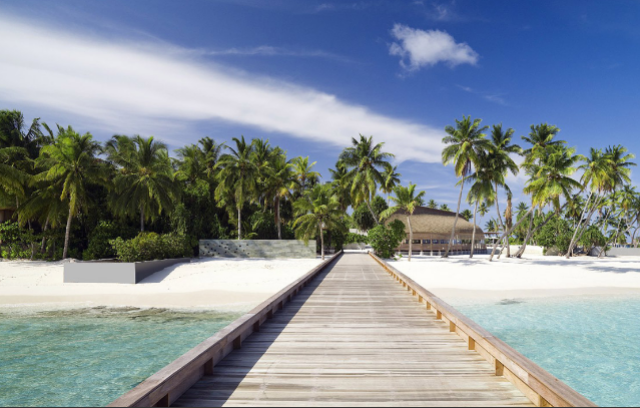 The island of Hadahaa is an exquisite hideaway and the ideal destination for guests searching for serenity and authenticity. Activities at Maldivian retreat range from water activities, such as kayaking, snorkeling and scuba diving, to Maldivian cooking lessons, guided local island visits, traditional Maldivian fishing and Equator trips, dolphin spotting and sunset cruises. 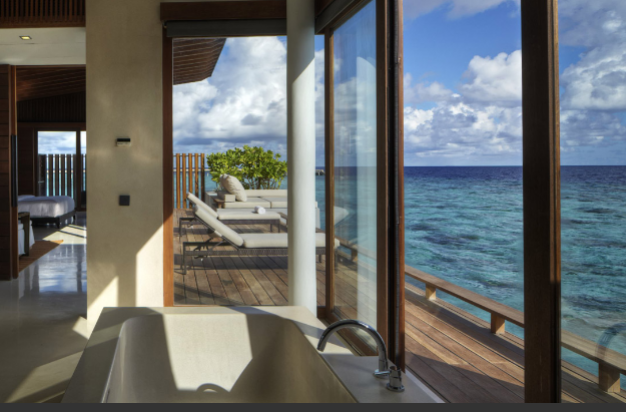 For those guests who just want to be pampered there is an unique Maldivian spa – The Vidhun Spa. 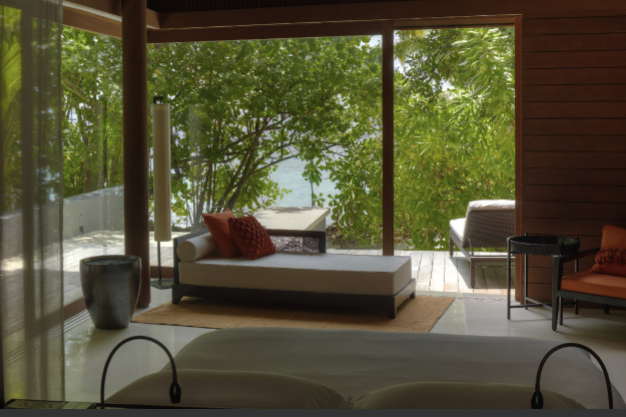 Embrace the beauty of Vidhun and let us spoil you with a pure Maldivian healing experience designed to make your spirit shine both inside and out. Hotel onsite PADI 5-Star dive centre offers diving enthusiasts an opportunity to dive amidst undisturbed coral reefs and explore sites in this untouched atoll where the marine life is more abundant and varied than anywhere else in the Maldives. Set amidst pristine gardens, The Vidhun Spa offers the ultimate in pampering and luxury featuring a wide range of Dhivehibey spa rituals & treatments. The resort has an onsite Yoga instructor conducting private and scheduled lessons. The onsite PADI 5-Star Dive Centre offers a range of dive programs and courses for all ages and experience levels. Our unique tailor-made cultural experiences within the atoll are designed to educate and showcase the Maldives like you have never seen before. At Park Hyatt Maldives Hadahaa, we are dedicated to providing their guests with a comfortable and memorable experience. 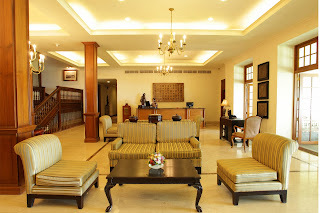 The resort offers unparalleled guest services, including each guest villa having their own Personal Host, 24 hour in-villa dining, complimentary Wi-Fi access, a Boutique, laundry services and a Doctor on site. A host of recreational services such as The Vidhun Spa, scuba diving at our Dive & Activity Centre, swimming pool, fitness centre and our tailor-made excursions are also available. Park Hyatt Maldives offers 5- star luxury in its business rooms and accommodation villas and a host of exclusive activities for the guests. Our 5 star luxury hotel in Maldives is located in the North Huvadhoo atoll close to the Kaadhedhoo Domestic Airport. 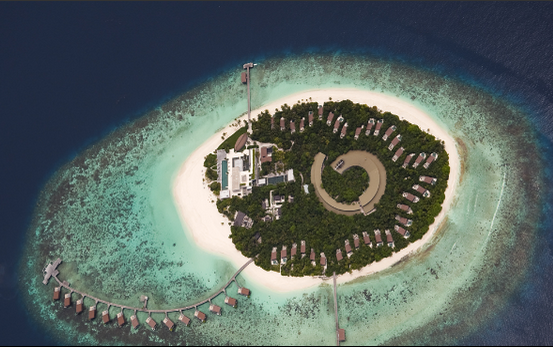 Park Hyatt Maldives Hadahaa hotel villas are located in North Huvadhoo. Maldives, an island nation in the Indian Ocean. 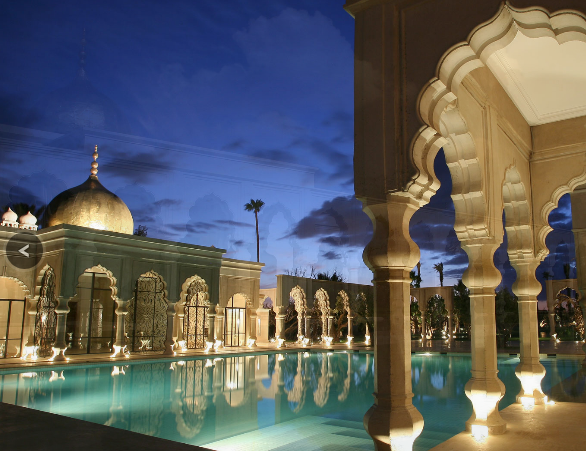 Palais Namaskar hosts a total of 41 units comprising of three kinds of rooms, four types ofsuites, two styles of luxury villas and two extraordinary palaces. Some units feature terraces while others offer outdoor Jacuzzis and heated pools. 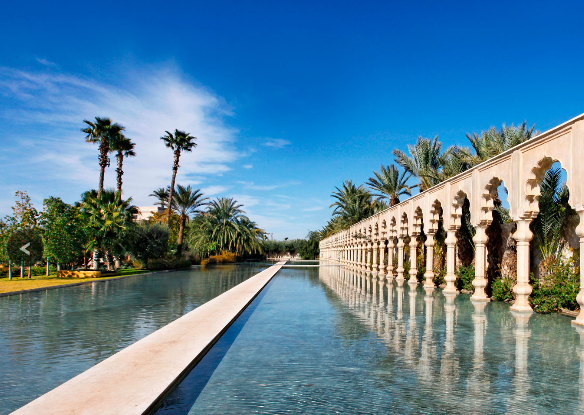 The luxury villas offer private pools and dedicated outdoor areas, while the 5 star palaces also include private kitchens and butler services. Certain rooms and suites can also be merged to create customised living environments. 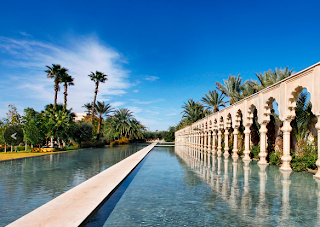 Commanding more than 12 acres of pristine seclusion, tranquil lakes and inspiring panoramas, Palais Namaskar explores new dimensions in hospitality - indulging guests with unrivalled spaciousness, personal freedom and majestic grandeur to create an undeniably unique experience. Palais Namaskar is located in Marrakech, Morocco and is a 5 star luxury hotel andspa with private villas and suites- OFFICIAL SITE.